Just got home from my day job. Its really tiring now and I still have dozens of entertainment scoop piled up and still waiting to be written. Meanwhile, I still don't have the chance to analyze the five new viral sites of the movie The Dark Knight and yet another website just got online. 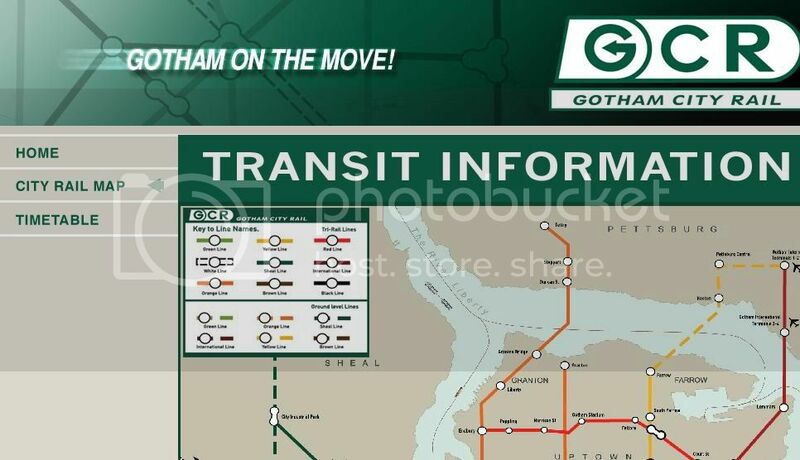 The site is for Gotham City's Rail Subway that Bruce Wayne's father built during the time he is still alive. The site features a flash based Rail map where the user can zoom in and out. 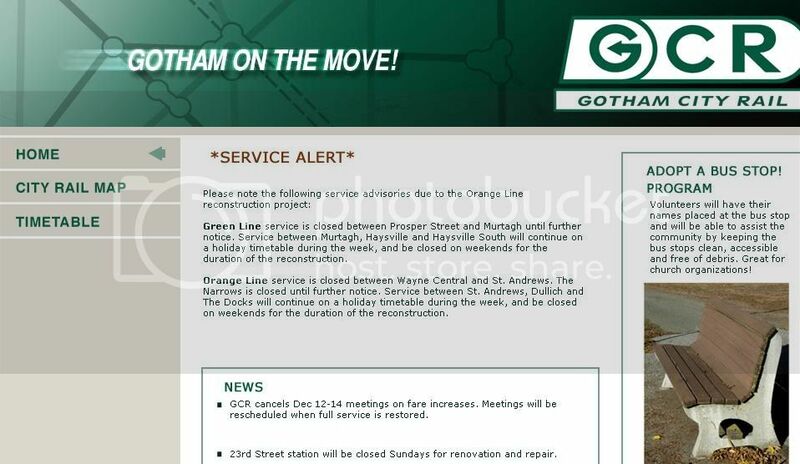 If you will go straight to the Gotham Midtown area where the Wayne Central is located. The subway is marked under construction. This is the same spot where the subway is destroyed when Batman defeated Ra's Al Ghul. As of now that is the only info I got from the site but I'm very sure that the whole site has more to offer. Maybe an observant eye is the key for the sites hidden messages.